Home » Family Life » Homemaking » Home Odor Control Tips for Families with Stinky Boys! Home Odor Control Tips for Families with Stinky Boys! I am the owner of one teenage son. There are days I am very thankful for this and other days that I would happily trade him in for 10 hormonal teenage girls. For those of you who do not have your own teenage boy, there are a few things you might not know about them. Teenage boys think potty humor is hilarious. They apparently live to torment their younger siblings and think parents are about the most UNcool thing ever created. Teenage boys eat constantly and are incapable of noticing the mess they create while they do it. And the most important thing to realize about teenage boys is that they SMELL. Honestly, I spend my days wrinkling my nose from one odor or another that is lingering in my home. I seriously hope he grows out of this stage or he is never going to find a wife and move out of my house! So, if you are suffering from the effects of a stinky teenage boy, I thought I would share a few home odor control tips that might help. 1. Fresh air is vital, even if it is 20 degrees below zero. One of the most important home odor control tips I am sharing is to keep the air moving in your house. Honestly, every morning I walk into my son’s room and open a window, I don’t care what the temperature is outside. Yes, I am wasting a little bit of heat and/or air conditioner money but it is worth every penny to help clear out the stank that invades overnight. I am willing to pay a little bit extra on my utilities for home odor control. Tuck an open box of baking soda into one corner of his room. You can also try putting a plant in his room for odor control. Just make sure you water it. Teenage boys are probably not going to remember to water a plant! 2. Combat stinky armpits with the right deodorants: Not all deodorants are created the same. I have tried to find a natural deodorant for my son and have been unsuccessful. As much as I hate the idea of him using traditional deodorants I also don’t want him to be ridiculed by his friends for smelling bad. Make sure you find one that says both antiperspirant AND deodorant. And you may have to try a few different brands and formulations. Solids, gels, and roll-ons all work differently for each individual. If nothing seems to work, talk to his pediatrician. There are clinical strength, prescription only deodorants that might work better for odor control. 3. Fight smells in clothes with vinegar: Regular laundry detergent does very little to get out armpit smells from a workout shirt. Then, every time the teenage boy puts that workout shirt back on he is reactivating the smell that was already on there. How do you get armpit smells out of a shirt? Pure white vinegar is one of nature’s best methods for odor control. Keep a spray bottle of vinegar in your laundry room. Place the stinky shirt flat on a towel. If it is made of cotton, spray undiluted white vinegar directly on the underarm area. If it is any other fabric you should dilute the vinegar with an equal amount of water first. You can add a few drops of tea tree oil into the spray bottle to help fight bacteria. Just make sure you shake it well before spraying. Let the shirt sit for about 15 to 30 minutes and wash as usual. If the smell isn’t gone, repeat the process again. 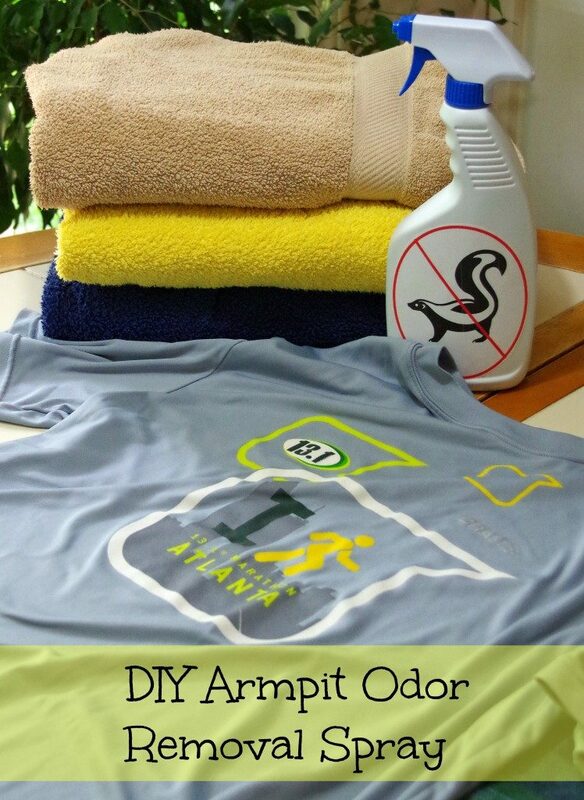 Try making this armpit odor removal spray if all else fails. 4. Dietary restrictions: Some foods, as well as caffeine, may cause an increase in sweating and/or body odor. A temporary (1 to 2 weeks) elimination of certain products may help with odor control. The most common causes are caffeine (sodas, energy drinks, etc), fish, liver, eggs, legumes, and fried foods. To improve digestion, consider adding in a probiotic into his diet. Probiotics are the healthy bacteria that live in our gut and help keep things moving smoothly. Use my affiliate link to find probiotics on Amazon that might help. Teenage boys seem to be a lot gassier than girls, at least in this house. Of course, maybe he just thinks it is funny to let one loose and giggle when everyone wrinkles their noses! The best home odor control tips help prevent the odor from being generated at all, right? 2. Keep sneakers smelling fresh and out of closed closets: I have found that the worst place to store sneakers is in a closed closet. The odor from the sneakers just seems to linger in there and become toxic. If you have a garage, basement, mudroom or some other out of the way room, make that your sneaker storage spot. 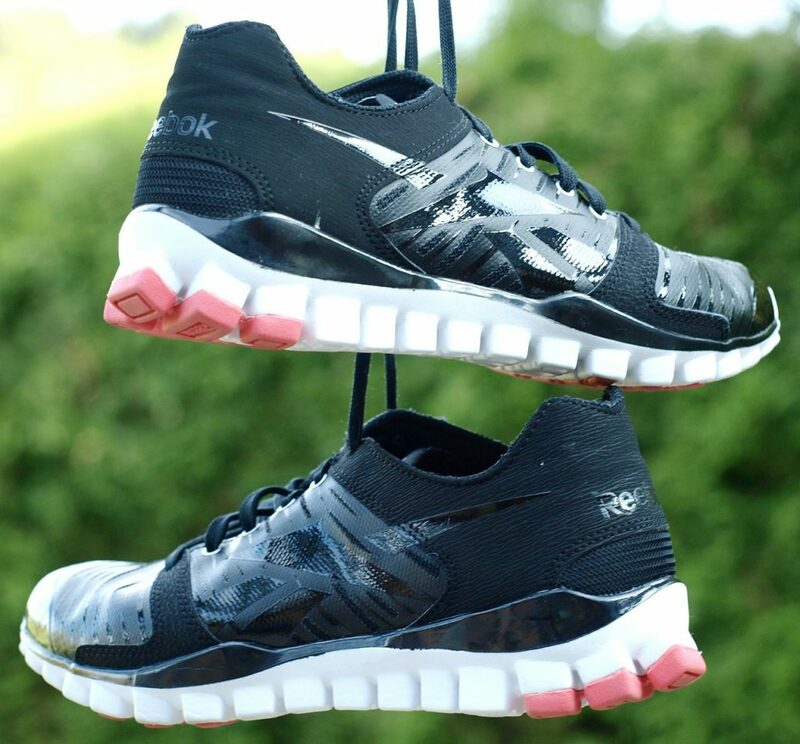 Make a sneaker sachet to store in his shoes. This will help with odor control naturally. I keep telling myself that this phase of my son’s life will pass soon but it seems like I have had a smelly boy for quite a few years now. Since I don’t want my house smelling like a gym locker room, I need to be vigilant in my odor control methods! I may have to keep the KID but I don’t necessarily want to keep the smells he creates. Do you have any other home odor control tips to share? I have a stinky 26 year old brother in law who lives with us.... He likes to sit on the couch, sweaty from working all day. I am trying to battle that smell today, because our living room smells like dirty sneakers! My husband can work all day and still not smell anywhere close to this! UGH! you can try sprinkling the baking soda, tea tree oil, essential oil mix on the couch if it is material? and then let sit and vacuum. You may want to do a small out of the way spot first just to make sure it doesnt mess up the fabric? Lol...as an UNcool mom of a smelly teenage boy your tips cold not have come at a better time! I'm so seriously at my wits end and am afraid that once I lose the odors from this one, my other one will start his own stink-athlon....taking notes! Hi Diane, I am a 39 year old man who has found a formula for keeping my bedroom as well as other parts of my house odor free. I use a combination of keeping an open container of baking soda in one corner of my bedroom(I recently purchased an attractive looking dish to put the baking soda in to add to the visual attractiveness of my bedroom), an attractive looking dish with pure charcoal in it in another corner of my bedroom, a cup of vinegar in yet another attractive looking container with a saucer under it in case of a spill in another corner of my bedroom and a few houseplants that are known to absorb odor such as an english ivy plant, a snake plant, a lady palm plant or dracaena plant in the last corner of my bedroom. This formula is a godsend for any man because men are known to smell and not care! Very good tips! Plants are definitely a great way to clean the air!